WARNING: this review may contain content unsuitable for children. 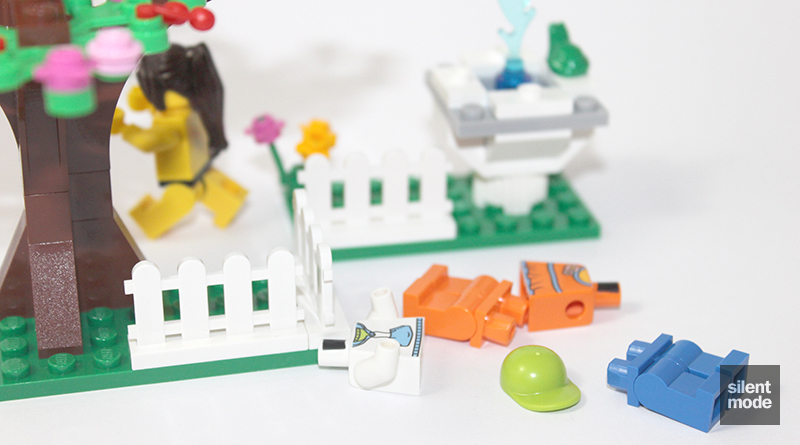 Prepare to be mellowed out with this review of one of LEGO’s “seasonal” polybags. This polybag came out before the dreaded V-Day (Valentine’s Day) last month and has been in stores for quite some time, but I picked a handful of these up during the last day of the Watford LEGO store’s grand opening. It was one of those uncomfortable moments where I had to figure out what I wanted to get to obtain the giveaway, and this seemed like the best option. So is this impulse purchase going to be any good? I already know the answer, but you will have to scroll downwards to find out what it is. 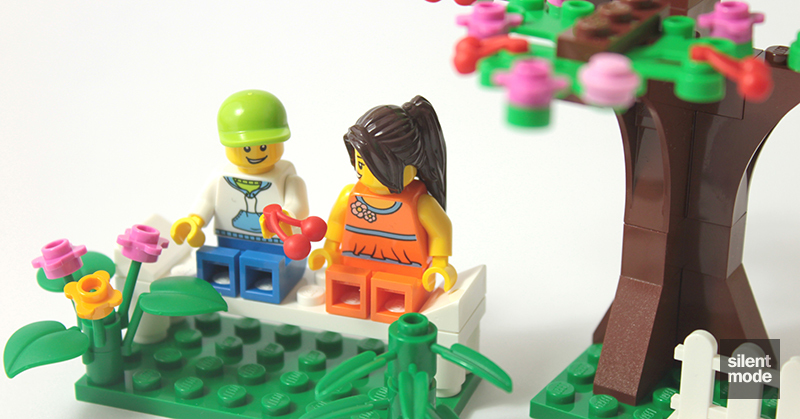 Many of LEGO’s miscellaneous polybags and sets have a mainly yellow background, and this one is no different… although it couldn’t be any more representative of V-Day if it tried. The tree gives it all away. 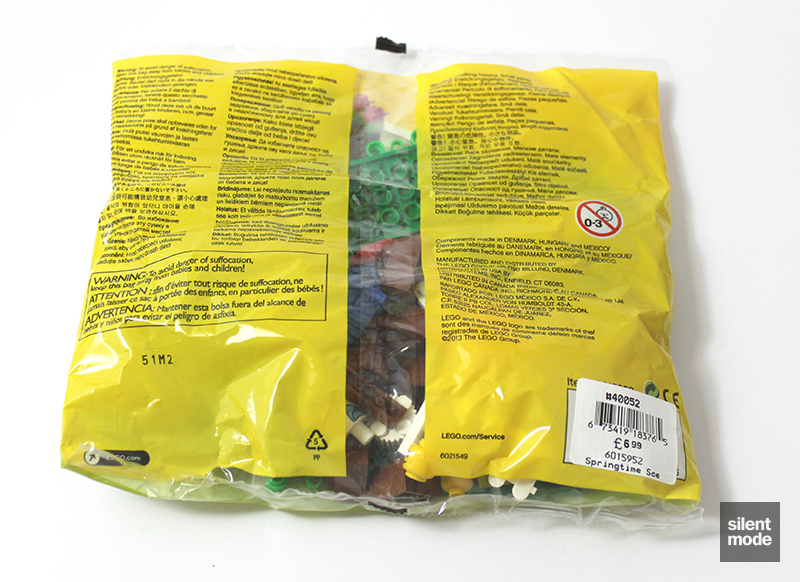 Most of the writing on the back of the polybag is your usual warnings (in 427 languages) about choking hazards. I guess it’s necessary, because how many people would really not have to worry about accidents with small plastic pieces? 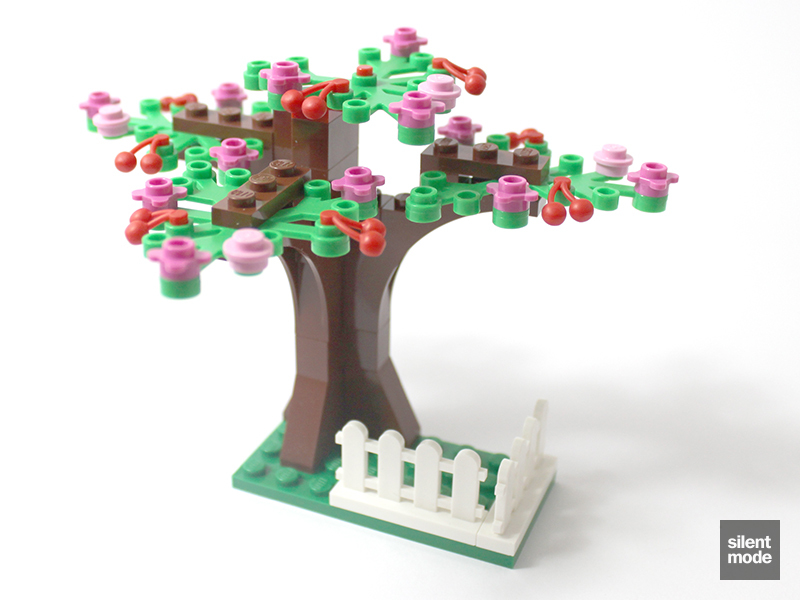 My first thought was that it reminded me of the old “service packs” LEGO used to do: the smaller sets in boxes containing only specific parts, such as trees, flowers, fences and so on. 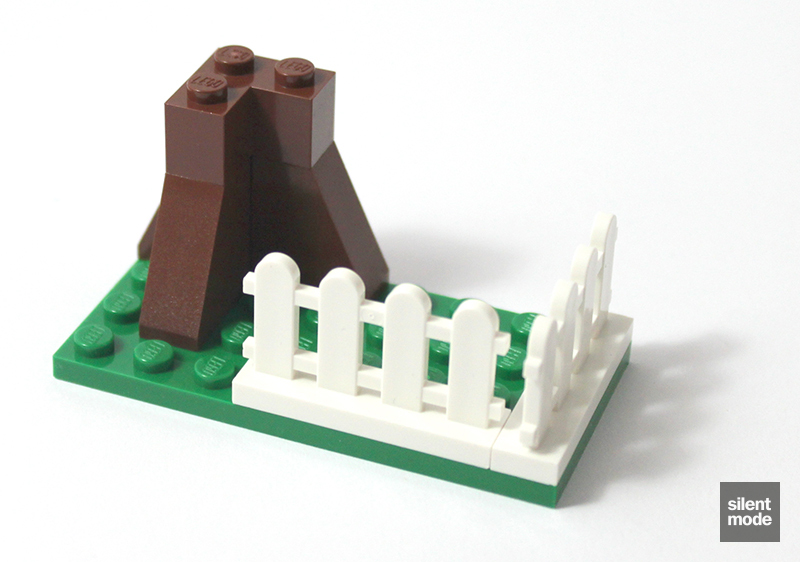 LEGO may not really do these any more, but this is probably the closest thing we’ll get to them today. I get this impression because not only do we have three Green plates, but plenty of small flower pieces in the small bag, as well as four “leaf” pieces, two bamboo shoots, and a leafy plant on a sprue that I haven’t seen in a very long time. You may also be interested in an intriguing 4×4 plate with a square hole in the middle. 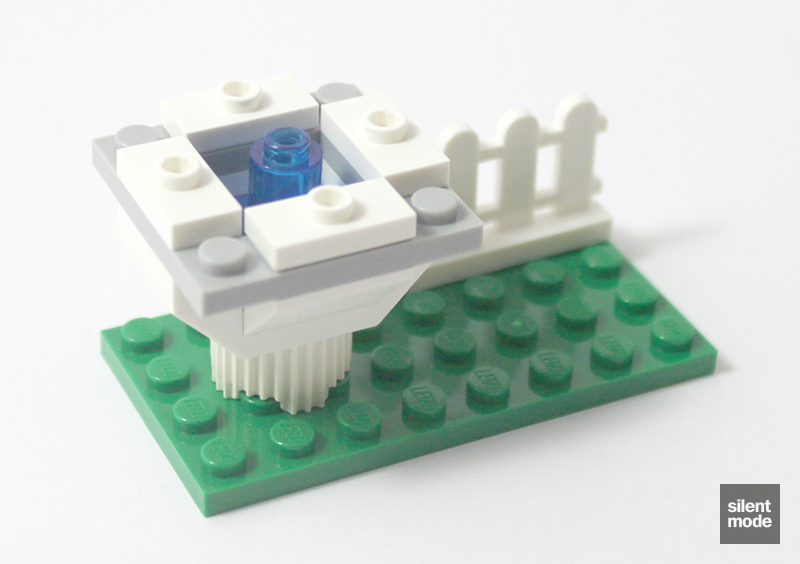 I have come across this part before, but haven’t yet found any use for them (mainly because I haven’t been designing or building anything recently). The smaller bag of parts holds more surprises: no less than 16 Dark Pink flower plates and four Bright Light Orange ones, and a generous helping of Red cherries. For the life of me I’ve never known what to do with those cherries, apart from hosting a game of Pacman perhaps. 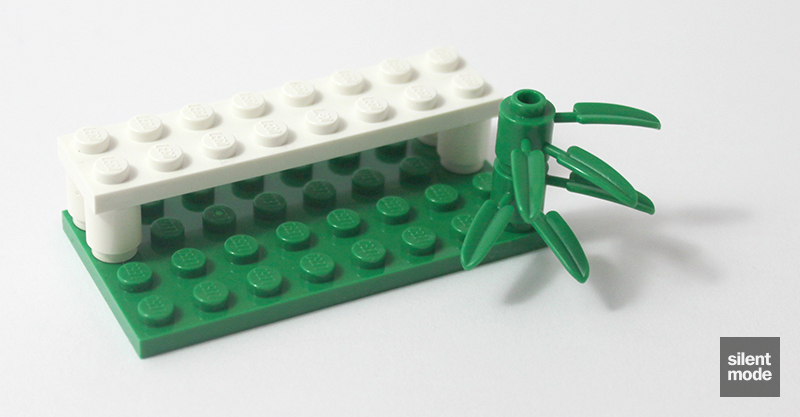 There are also some other useful parts in case you don’t have them, such as a Green frog and a couple of 1×2 “cheese” slopes. It looks almost like something out of a Friends set. Say hello to what is obviously meant to be a happy couple, I’d say inspired a lot by the 60s and 70s. The female is the most impressive of all; not only does she have a suitable hairpiece and the same head as the femme from the Winter Village Post Office (which seems to have become popular), but she’s also sporting the infamous Orange dress torso. Once upon a time this torso was exclusive to a single Creator set, but now it appears in five sets in total, including the Town Hall. 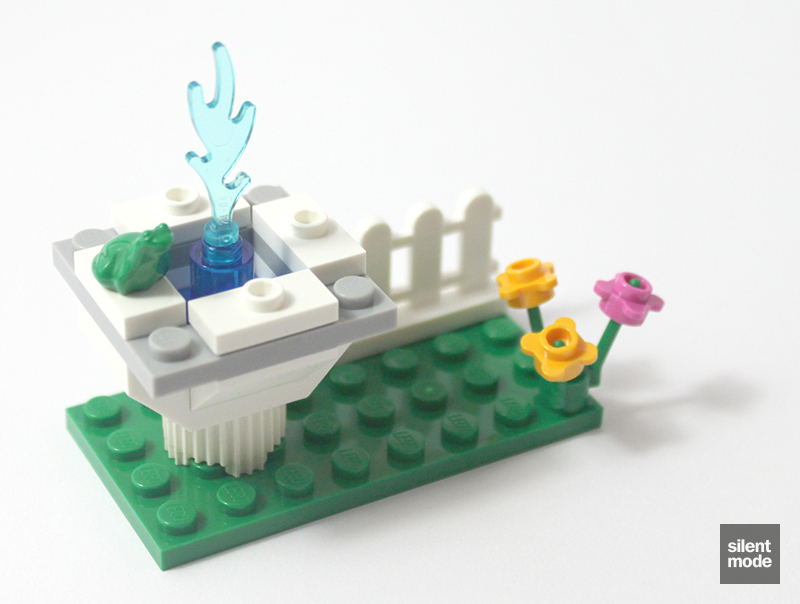 You may even be lucky enough to find it in a Build-A-Mini station at your nearest LEGO store. It also turns out that versions of this torso were used in some of the grand opening giveaways in the States, each with the store’s name printed on the back. The male… Well the head certainly isn’t the worst one they could have used, and it’s a better choice than the one used in the Police Helicopter polybag. Probably the most impressive thing about the figure is the hoodie torso, and even that’s not so appealing. Oh well. The first of three builds begins with a park bench, used to house the happy couple. 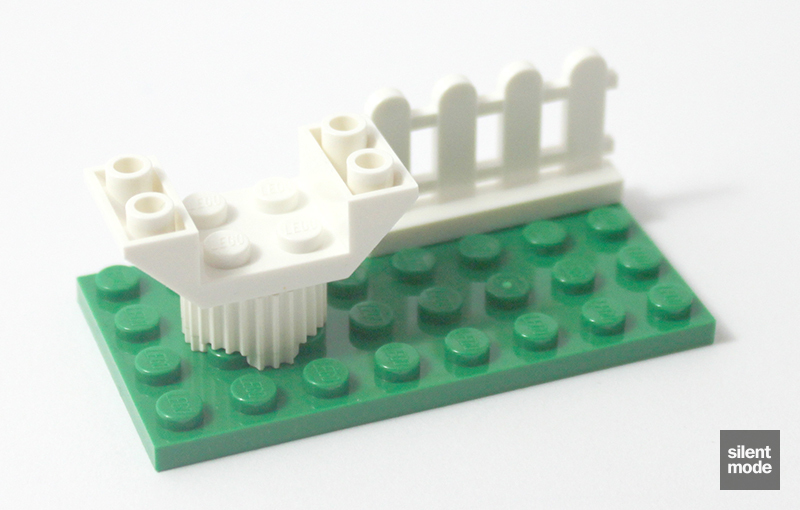 The bench is constructed using four White 1×1 round bricks and a 2×8 plate, which definitely gives it a different look compared to using two 1×2 “log” bricks. The leafy plant forms part of a larger plant with some flowers, to provide some decoration along with the bamboo shoots. So now we have somewhere for the couple to have a seat and talk about old times and sweet nothings. How romantic. Let’s leave them to it. Pay attention folks, we’re going to have a brief lesson on how to utilise otherwise useless parts. 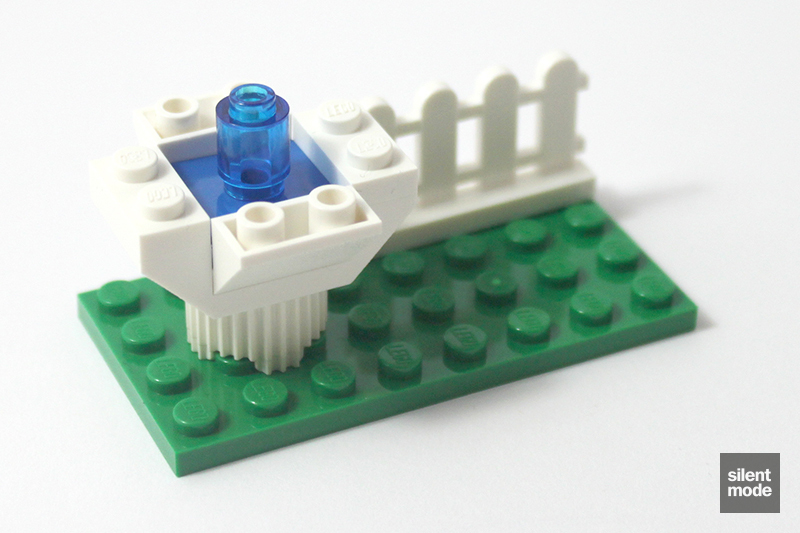 The fountain begins life as a grooved round brick, with one of the boat pieces sat on top. Placing the other boat piece on top, the sides are levelled off with 1×2 plates. The “bowl” that these pieces form is then filled with a Blue 2×2 jumper plate, with our Trans Dark Blue round brick sat on it. Remember that 4×4 plate with a hole in the middle? That sits on top of the bowl, although I found it was tricky to make it fit. The frog and the little jet of water add the finishing touches, and there we have it. Garnish with another set of flowers. The last and biggest build begins life as three Reddish Brown slopes, joined together with a corner brick. 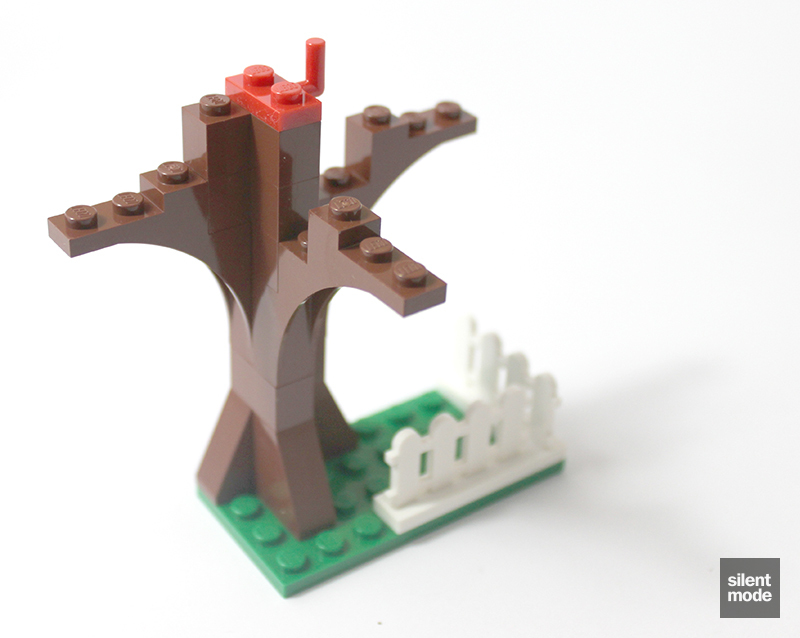 This seems to be a common building technique for trees in official sets, as of late. We may also be familiar with these arch bricks being used for branches, all joined with more corner bricks. But what is that Red plate on top going to be used for? We’re going to be attaching four of these, made from the parts we have left over. Luckily the instructions tell us what goes where, and all four of these are going to be identical. What the instructions doesn’t make 100% clear is how these pieces are attached to the tree: I’ve left the topmost one out for this shot, but this is how. 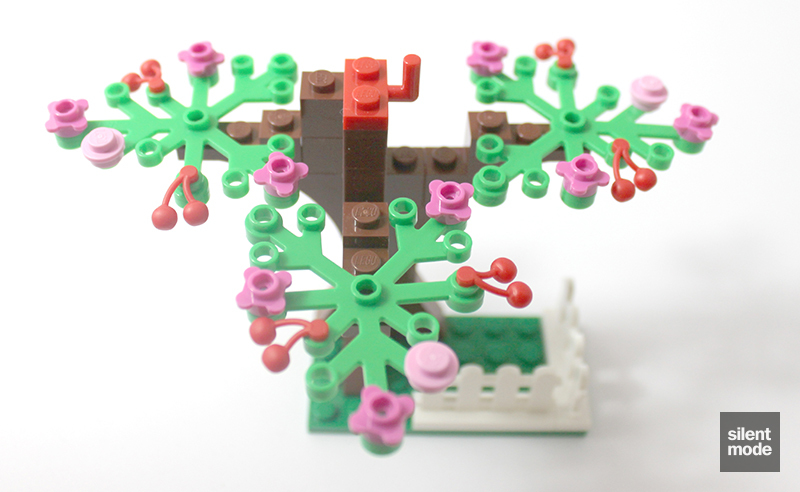 The topmost plant piece attaches to the tree using the hook on the Red plate, while the others are held securely to the tree using 1×3 Reddish Brown plates. And there we have it! Arrange the different parts however you want, but the end result is a pleasant, tranquil scene with nobody around – not even an insect – to disturb the happy couple. You might use this time to even give them names, or make up some scenario. All very useful parts, and I’m glad to see there is one of each flower part left at our disposal. Those will go with the rest of my collection! 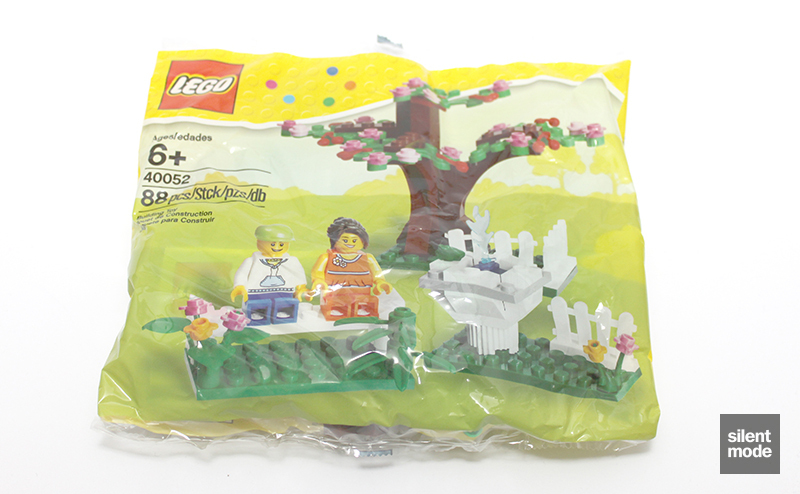 One of my biggest reservations about buying this polybag – let alone three of them – was the price: this is one of the more expensive polybags, and on top of that there was an obvious V-Day connection, although there was a more specific polybag released for the occasion. My plan was to salvage any useful parts and discard the rest. But when I actually took a look at the set itself, leaving aside those reservations, I thought it was pretty decent. 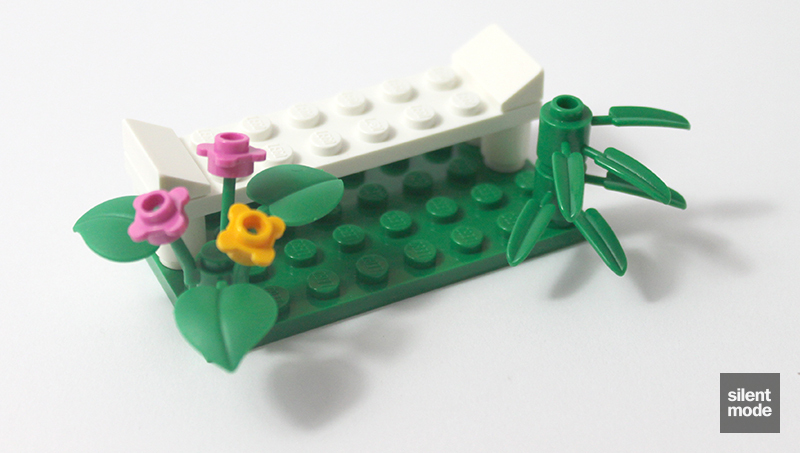 For one, there are plenty of plant parts for using in your own MOCs, which we would expect in more expensive sets in these quantities. 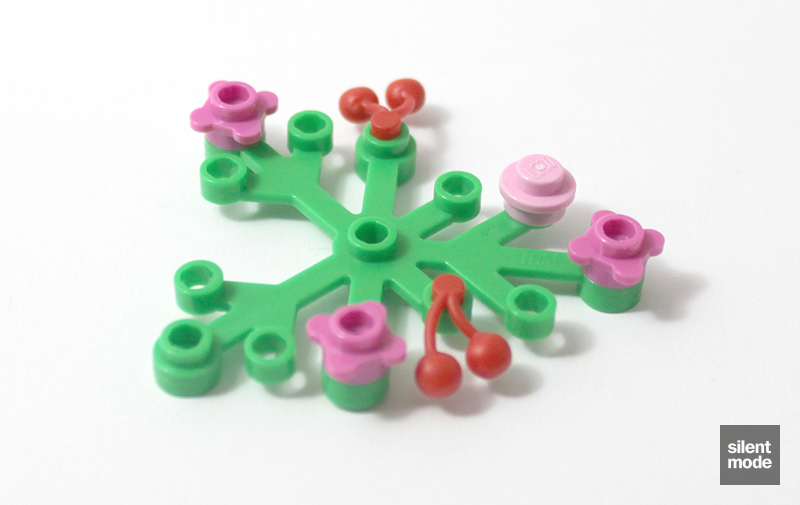 I was particularly surprised and pleased to see the leafy plant part, which I don’t recall seeing in a set I’d bought for many years, and it’s good to see them still being made and used. It would have been nice to have more than one, but that’s what the other two are for. The build itself was very well done, and there wasn’t a single thing that looked out-of-place or felt tacked on. Whomever designed this gave it a lot of attention – or at least that’s the impression I get – and did a good job of working within any part count restrictions. 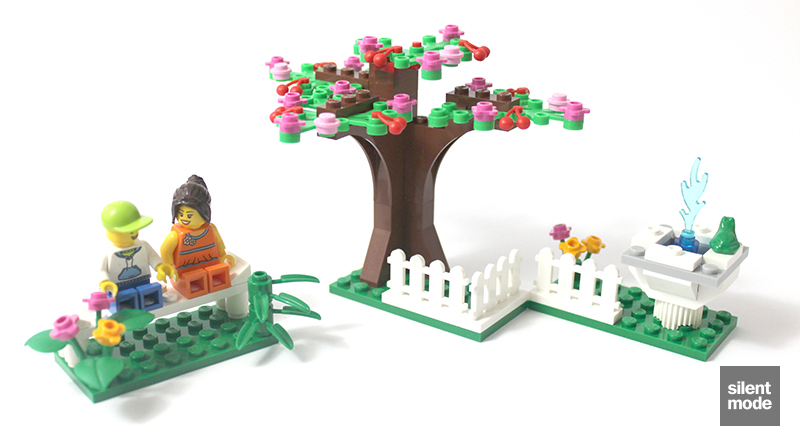 I wouldn’t even mind using the tree design in my own MOCs. 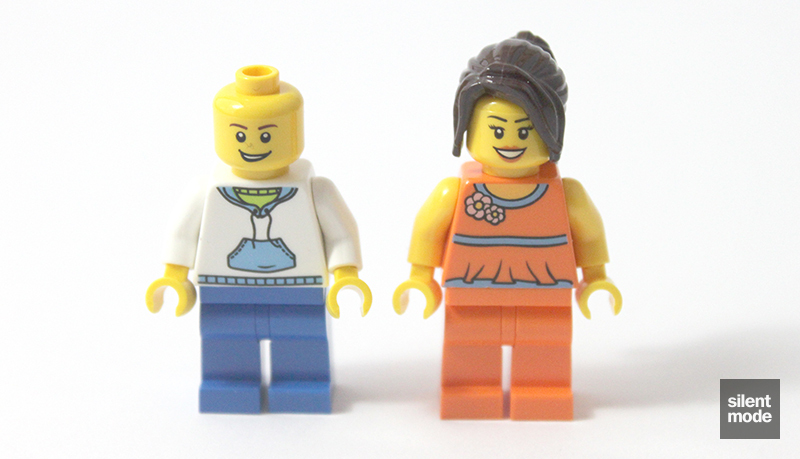 Literally the only thing I would change would be the male minifigure: a quick improvement would be giving him hair instead of a Lime cap. It’s an okay figure, but next to the female he looks somewhat inadequate; on his own it’s something I can live with. 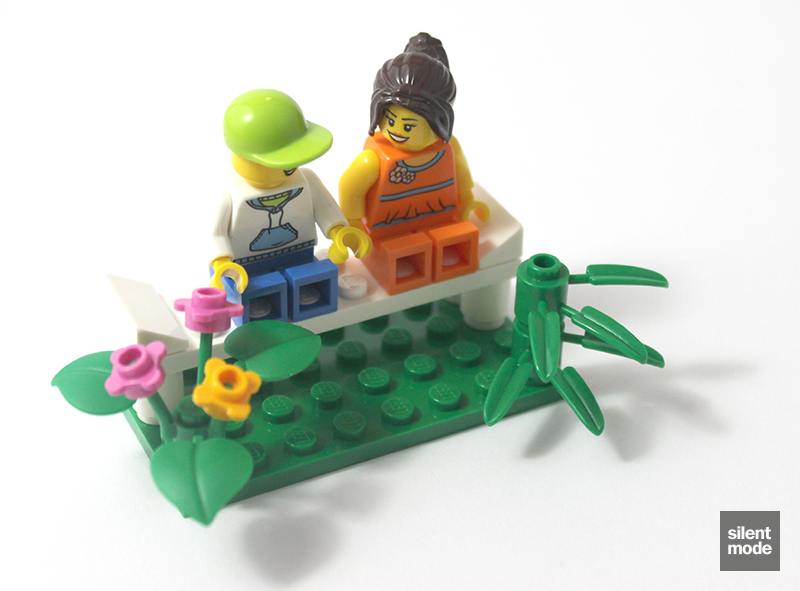 Assuming this is a suggestion for a V-Day gift to give someone, anyone remotely interested in LEGO would probably customise the figures anyway. I couldn’t imagine a nonFOL appreciating this as a gift, but it might work. For those who aren’t interested in that soppy stuff, this set makes a decent scene on its own, but probably better serves as part of something bigger. 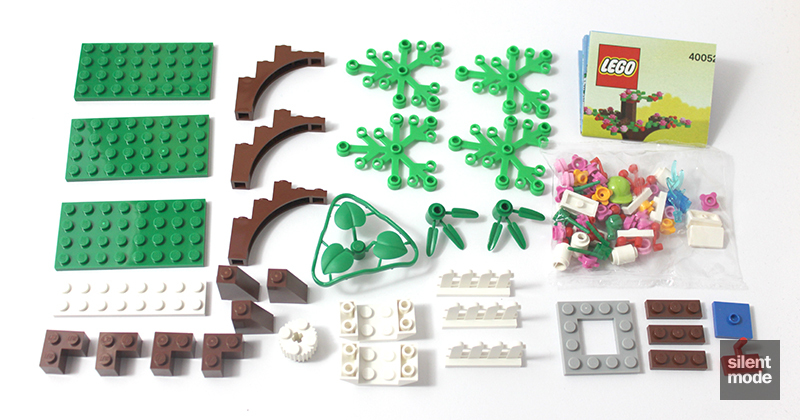 I get the impression that this set was designed by someone who knew their way around LEGO parts, and designed it with a lot of care and attention. Although it's obviously romantic in nature, it still managed to be somewhat gender-neutral. Nothing challenging to contend with, although the 4x4 square plate was a little tricky to fit. Kudos should go towards making use of (IMO) otherwise useless boat parts - now I know what I can do with them. Was very impressed with the number of plant/flower parts, and the general usefulness of the other parts. Slightly disappointed with the Lime cap. Since the set is more of a display piece, there's not really much to do with it on its own - but it can be made part of a larger display. Worth buying one to give as a gift, or multiples of for the parts and perhaps even the figures. Definitely one to look out for if discounted, particularly for those plant pieces. Based on these, this polybag gets a respectable 8.0/10. There’s no shame in getting hold of one of these at all. Thank you for reading this review. Vote for the End Of Year Review 2018! What SilentMode Hopes To Accomplish In 2019. (Re)Introducing the Mascoteers/IhNohMinecraft mini site. SilentMode on the 2018 LEGO Inside Tour. 2013 Christmas Party "comic strip"
Tron Legacy Light Cycle: the next LEGO Ideas set. Copyright ©2019 SilentMode.tv, all rights reserved. 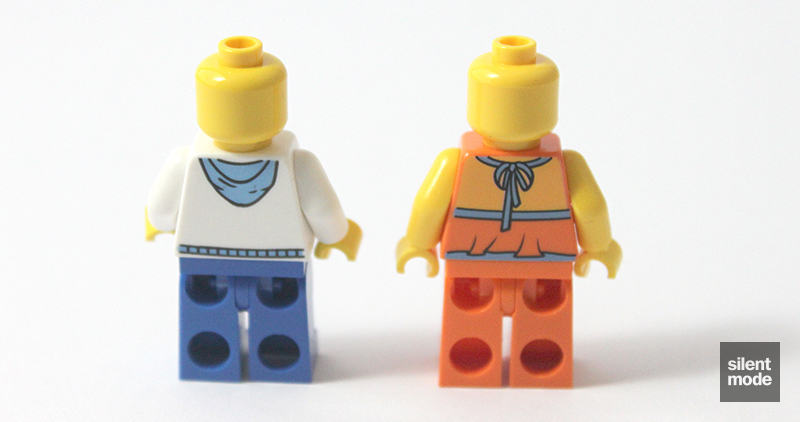 LEGO® is a registered trademark of The LEGO Group, who has no connection with SilentMode.tv whatsoever. Built using WordPress by Perfect Zero Labs.